Anyone who works with vinyl cutters will know just how bulky they can be, and they have the ability to make a job that should be simple into something far more complicated due to their size. If you don’t work in a professional workshop, it’s likely that you don’t have the space to keep a cutting machine lying around and so you simply have to work without it. What the small time workshop or artist needs is a powerful vinyl cutter that has most of the capabilities of the larger devices but in a compact package that’s easy to use for beginners through to experts. This device should be a one stop shop for all of their vinyl cutting needs, and other suitable materials too, and one that can fit snugly on your desk as you work. The GCC AR-24 could be just the device you’ve been looking for, made specifically for creating signs, but able to work with a range of other applications. This desktop machine takes up minimal space but has a lot of capabilities, so it’s ideal for anyone that’s running low on room in their home workshop. 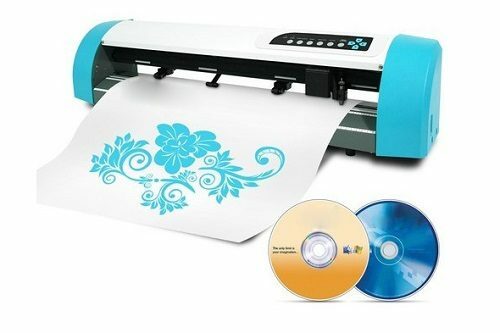 If you’ve been searching for a quality vinyl cutter but don’t have the money or space for a professional grade machine, this is exactly the choice for you. The GCC brand stands by their slogan of ‘innovation with a personal touch’ and that’s exactly what they offer in their machines. With a keen focus on creating vinyl cutters to suit a range of applications, they know exactly what the user needs in a quality and innovative device. 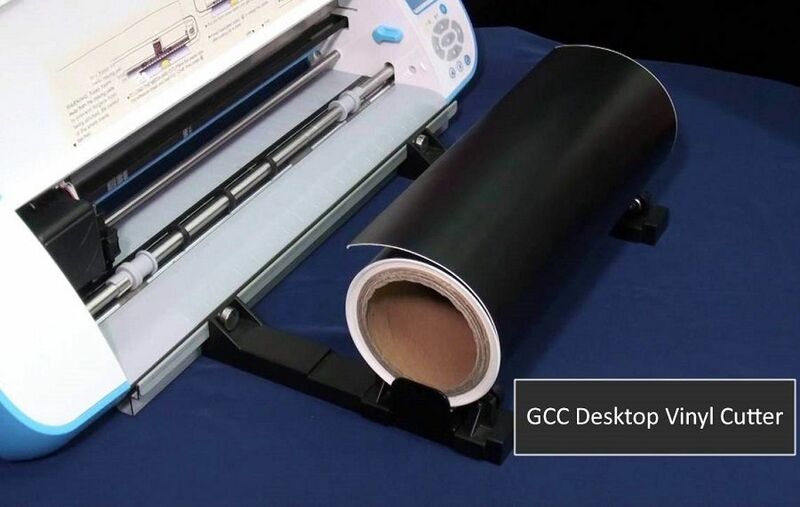 The GCC AR-24 Desktop is a popular product of theirs, giving users access to an intelligent and durable vinyl cutter that sits snugly on their home or work desk. The GCC AR-24 Desktop Cutter has been designed with ease of use in mind, so you won’t find a lot of buttons or confusing configurations. If you’ve been searching for a smaller desktop vinyl cutter that still has a lot of the capabilities of a workshop grade device, you’ll be thrilled by everything the AR-24 offers. If you’ve been searching for something basic and easy to use, the GCC AR-24 Vinyl Cutter is it. This machine is ideal for anyone looking for a simple plug in and use vinyl cutter, with enough cutting capabilities to work with many different applications. 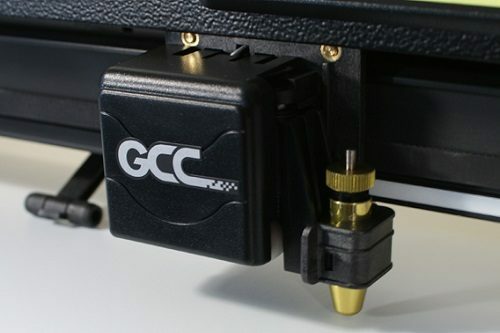 Simplicity is by far the best feature of the GCC AR-24, with everything from the one click driver to the user-friendly interface making it a dream to operate. The cutter itself is quite impressive for a machine this size, with the ability to cut through at around 400mm a second and work with a range of materials up to 23.6” in width. This makes it ideal for paper, vinyl, material, and transfers, so you’re not limited to just one type of project. 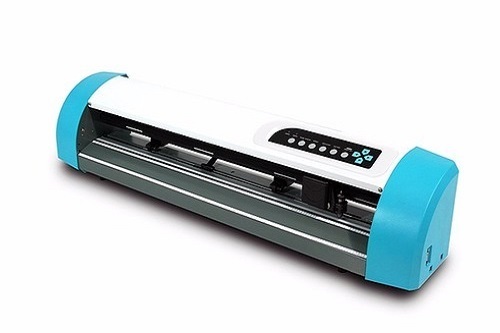 This desktop cutter is best used for beginners or those who only require limited things from their vinyl cutter, so it would work well in a home setting. Due to the fact that this is more suited to a beginner user, you might not consider it if you’re using it for commercial use or have high volumes of vinyl cutting to do. For anyone looking for something simple, though, this is it. The device pairs with Corel Draw and can simply plug into your PC and install the driver without a hassle. It also comes with the VLCD software which makes it extremely easy to use, so even those beginners who have no experience with this type of vinyl cutting software will find it a breeze. The GCC AR-24 is best purchased online, and through Amazon specifically with their current discounted price. When you purchase your AR-24 through this online shopping portal, you’ll pay under $400 when you opt for a brand new model. There are some used versions available, however, to stay covered under warranty and be sure that you’re getting the best quality, buying a brand new GCC AR-24 is recommended. Amazon will also ship your vinyl cutter straight to your door, and Amazon Prime members will benefit further from express postage. This means you can be using your cutter within just two days from when you purchase it, and without any difficult setup, it will take just minutes to get it working. GCC offers a 24-month limited warranty on this device, which is fairly standard for a smaller machine such as this. When you follow the manual in terms of cleaning and maintenance, you’ll be rewarded with many years of service from your AR-24 so it’s certainly a worthwhile investment. If you’ve been searching for a user-friendly and simple vinyl cutter for your home workshop, the GCC AR-24 is certainly one of the leaders in the market. This vinyl cutter sits comfortably on your desk at home or in the office without taking up any space but has many of the capabilities of a larger device. GCC are no strangers to creating innovative products such as vinyl cutters and markers, so you can put your trust in them to deliver the goods. This makes a great investment for the beginner vinyl cutter or anyone who wants a no fuss way to cut their materials.